Believe it or not, self-publishing has helped a lot of writers put forth valuable knowledge and information that wouldn’t otherwise have been easily accessible if the old-fashioned route was taken. In the past, it was necessary to get your work approved through several channels before you could take it to crowd. Nowadays, however, thanks to technology and a wide range of publishing tools, publishing your own book is just a few clicks away. Sometimes, authors are forced to use this method to “test the waters” and there’s nothing wrong with that. Instead of staying stuck in a rut, why not opt for the non-traditional approach? Don’t hesitate to self-publish. There are a million reasons for why self-publishing is a good idea! If you’ve already acknowledged this fact, let’s move on to 5 common fears that keep you from doing just that. This is a debilitating fear that crushes our hopes without warrant. It does make sense to worry about who will buy your book, but there’s no reason to undermine your potential without backing. The only reason people buy books (that is even before they read them) is because they’re what these people want to read. This calls for knowing your audience well, and of course good writing skills. Furthermore, the advantage of publishing virtual books is that they never get chucked out of the shelf just because they’re not selling well. E-books are always available and accessible, bringing in a slow, steady income. This is the number one fear that keeps you from accomplishing any goal at all. Very often, we search for a “perfect time” or “perfect moment” to do something, but it never comes. The fear may be genuine if you plan on accomplishing several crucial mini-tasks before you hit publish (i.e. further research, editing, and of course, completing the book). However, if you’re still waiting for some unknown event to happen or a moment when it “feels right”, you’re probably just worried about taking action. The best way to avoid this is by aiming for a specific date or time to publish. You may also include several sub tasks to accomplish before the date on your calendar. Just make sure you stick to it! If you think your words sound good, and so does someone else, there’s no reason to go over and over it again just to pick out that one thing you could be missing. Obsessing over the details to an extent that you’re not satisfied until your book is a 100% means you’re going to hard on yourself. Sometimes, even the best of authors don’t achieve a 100% with every single one of their books. The best way to overcome this is by obtaining feedback from several sources including a few members in your audience. Use their comments and suggestions to make necessary changes and give it a final review. Granted, credible authors always go through several “quality checks” before their books are published and put on book shelves, but that doesn’t necessarily land the book on top of every hit list. On the contrary, there are innumerable self-published e-books that have made the hit list and even sold more than a regular published would, simply because it offered the audience what it was looking for. Get over the fear of appearing “unprofessional” just because you’re self-publishing. Today’s times are full of brilliant self-made, self-publishing authors that get ranked high based on “most viewed” “most downloaded” “top paid” and various other classifications. This is a genuine fear that consumes many self-publishers. Simply publishing it is not enough. 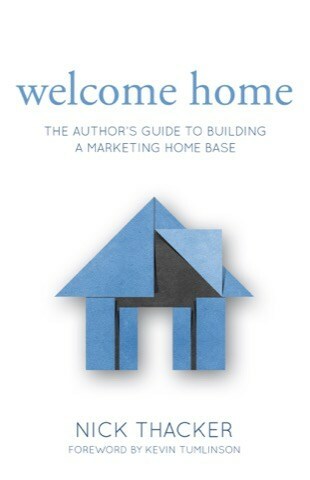 Some form of marketing is necessary to create “hype” and get your audience to purchase the book. This seems a little intimidating at first, because not everyone possesses fabulous marketing skills. However, not everyone has to in order to sell something they believe is perfect for an audience. For example, your book may be about developing a great website and improving conversions. With that, you have in mind exactly what type of audience needs your book and why. The why part is important! Focus on your audience and tell them how your book can benefit them or fulfill their needs. You don’t need to use gimmicks to sell your product—and to be honest, an online audience doesn’t respond well to those. Let honesty be your guide and the “marketing” part will come to you naturally. Since, this is not an exhaustive list, there could be many other fears holding you back. However, these are usually some of the most common ones aspiring self-publishers face before they make the plunge. Use these ways to overcome them instead of keeping you in a rut only to wonder later what those drafts could have been!